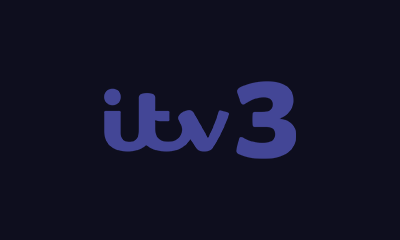 UPDATE | A frequency change which has resulted in more Freeview users being able to access ITV3 has been completed. ITV3 is now broadcast alongside the signal of the main ITV channel (STV in Central and Northern Scotland). This frequency change means its Freeview coverage has increased to around 98.5% of the population. Previously, ITV3's Freeview service was bundled with lower coverage commercial channels, reaching 90% of the UK population. During February and March, two copies of ITV3 - on both the old and new frequencies - were broadcast, appearing on channel 10 and 788. On 28th March 2018, after nearly two months of dual-running, ITV swapped the old copy of ITV3 with the new copy. On 3rd April 2018, the old copy was turned off. A retune message appeared in its place for a few weeks, before being removed. Viewers who haven't retuned, or haven't retuned correctly may see a 'channel not available' or other error message. Viewers have been advised they may need to do a full retune, or first time installation or factory reset on some older devices to reinstate the channel. A 'new channel scan' or 'add channels scan' may not restore the channel. The changes are separate to the national programme to change Freeview frequencies in preparation for 5G mobile services, which has resulted in some users having had to retune their TVs already in recent weeks. With the change, ITV3 is now universally available from all Freeview relay transmitters. Viewers who receive a reduced channel line-up from a relay transmitter (i.e. without access to commercial channels such as Dave, Sky News and 4Music) should check to see if they have ITV3 on channel 10 - if not, they should retune. Article updated on 05/05/2018 to reflect that the retune message on the old copy of ITV3 on Freeview has now been removed. Viewers who haven't retuned will see a blank or unavailable channel on channel 10.